Looking for the best fender trim on the market? Well, congrats, you found it when you found TFP premium stainless steel fender trim. No corners were cut when designing this trim, and it shows when you're looking great rolling down the road. Constructed out of T-304 stainless steel, this is the fender trim that is going to make your vehicle pop, and it's going to stand the test of time, or "thyme" as the French would say. A lot of fender trim manufacturers use a stamping process when creating their lines, which is okay, but it doesn't match up to TFP's rolling process, which creates a cleaner, more attractive product. The trim also uses an extruded rubber technique that creates a more flush finish than a common rubber gasket. TFP also paints the inner lip black to disappear within the wheel well, creating a seamless look. So, if you're ready to add some excellent style to your ride, don't look any further. 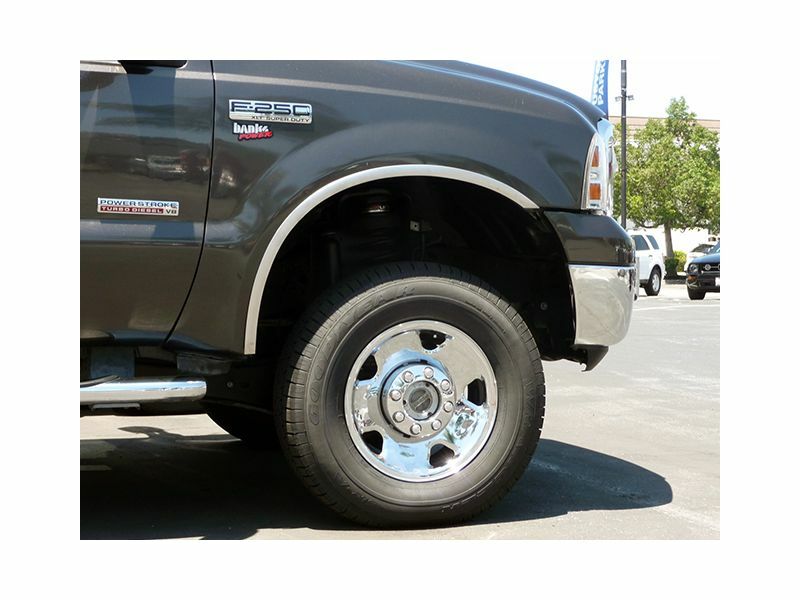 TFP premium stainless steel fender trim offers a great design, rugged durability, as well as amazing looks. Get a set today, and show off your ride! TFP premium stainless steel fender trim is backed by a limited one year warranty. If you have any questions, please give us a call at 877-216-5446. TFP premium stainless steel fender trim are a simple, no-drill install on most models, and can be done at home. All trim sets come with instructions, and the necessary clips to easily attach fender trim to your vehicle. All fender trim also includes screws, which only require minor drilling, for an optional screw-in installation. If you have any questions, please give us a call at 877-216-5446.